Well, this was the last of the projects I promised in trade for the alpaca fleece! This last fleece was lovely. The color is actually redder than the scan shows. Four to five inches is pretty much the average length, and the crimp measures eight per inch. As you can see it had some VM. It also had some short cuts. The fleece is fairly consistent throughout, except for a courser section of britch, which is the fiber that grows around the rear end. Even the britch wool was softer than the sheep's wool britch I've seen, but I discarded it anyway. One thing I have learned from working with alpaca over the past several months, is not to judge the luster until the fleece is washed. Rather than wash the fleece however, I spun it first and then washed the yarn, which proved to have a lovely, subtle luster. Since I had the made the teddy bear shawl with a bulky handspun, and the alpaca doll and child's cap with a medium weight, I wanted a fine handspun yarn for this last project . I drum carded the fleece three times and then spun it worsted style on my Kromski Minstrel, with the 8.5:1 ratio whorl. By now I was pretty comfortable spinning this fairly slippery fiber, so the finer yarn was easy to spin. My singles measured 48 wraps per inch, and my 2-ply is 22 wraps per inch. I washed the yarn in very hot soapy water twice, then rinsed with very hot water as well. The second to the last rinse had a glug of white vinegar in it. The soaking water was very, very dirty, but the yarn washed beautifully. It took a bit of searching to find the right knitting pattern for this. I really wanted something open and lacy, but to be honest, I really struggle with lace knitting. I seem to make endless mistakes and have to rip out numerous times. After scouring my knitting books, spinning magazines, and free patterns on the web, I found this Lacy Shawl pattern. The stitch is a very easy *yo, k2tog*, but gave the open look I was looking for. I knitted a scarf instead of a shawl which was quicker. I used US13 knitting needles. I admit that I still had some problems, until I began to pay close attention as to how each stitch was made and where the needle needed to be, in relation to the yarn. After that I was able to catch potential problems and correct them before they became actual mistakes. After blocking the scarf measured about 6 by 54 inches. I had enough success with it so that I am willing to try this type of knitting again. Perhaps I may conquer it yet. I should probably try to hunt up my Samoyed scarf, which keeps getting abandoned when I become frustrated with the knit 3 togethers. This time I'll even use a lifeline. I have absolutely loved working with this fiber. 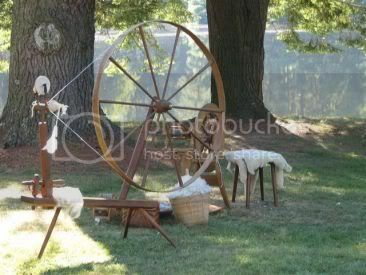 I have learned a lot and my spinning skills have grown. But then, that's one of the joys of handspinning, isn't it? What a cool scarf!!! Knit with the most beautiful brown alpaca. Is the alpaca that shiny or is the flash on your camera. Every alpaca I've spun was so dull. Barbara, I'm lucky to have a lot of free time at this time in my life! This alpaca does have a little luster, just enough to make a lovely yarn. Alpaca is addictive. Lovely spinning!! I love how your spinning turned out. The scarf is so pretty. I have made several similar scarves over the years, except with the first and last 4 rows in garter st and either the first 2 sts of each non-garter row knitted OR the first and last 2 sts knitted, in case you'd like some easy variations to try. i use either #11 or #13 needles, and sock-weight-ish yarns, usually. So do you recommend washing alpaca first, or not? Cathy, I absolutely agree that alpaca is an addictive fiber. It's been added to my list of top spinning favorites! Victoria, your profile isn't available for public viewing, so if you have a blog, I can't visit it! I like your idea of adding the garter stitches and rows; I think it would frame the open part beautifully. I tried spinning both washed and unwashed alpaca, and ended up spinning the unwashed. That seems to save a step as I wash my yarn anyway. From all the comments I received regarding this, it seems that most alpaca spinners don't wash it before spinning. One exception was spinning white alpaca, which was preferred washed first. I have yet to spin white alpaca however. 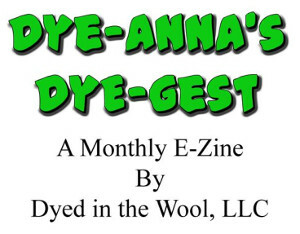 My objection to spinning raw fleece has been the grease, which alpaca doesn't have. Besides gunking up my wheel, the grease traps dirt and once it is twisted into yarn, is more difficult to remove. This is a personal preference however. There are many who prefer spinning in the grease! I'm just not one of them :) Alpaca though, was fine to spin raw. the scarf has turned out nicely - it looks nearly like very loose bobbin lace:) I started to spin some of the black alpaca top I bought recently - and find it rather annoying that I have so little time right now! I could sit and spin for hours, though I have - as I usually do - the problem that I start thicker and slowly go thinner and thinner. I do spin unwashed fibre too - I don't mind the dust it contains so much and the change after washing is really stunning! if you ever get your hands on some suri alpaca, try this out too - it is quite different from the other and even shinier as a yarn. Nice spinning. What a nice color it is. Most of the stuff I've spun is more of a cinnimon color. Your's is much nicer. Love the scarf, to. BTW: Thanks for the comment on the W-O-T-M shawl. This is my first shawl and it's turning out okay. Nope, no blog. If truth be told it's remarkable that I could figure out how to leave a comment! Dial-up on an ageing laptop in a 1923 farmhouse, that's how it is around here. I agree with your opinion on spinning grease fleece; I don't like the stickiness as the grease (with a YEAR's worth of dirt mixed in) gets on my hands. I'm glad to have found your blog. I have a Glimakra standard loom, and now that the heat may be easing up, I'm eager to get back to it. I've been needing to read about some weaving progress to inspire me. Thanks! Alpaca and (angora!) are two I don't mind working with as raw fiber....I have met very few fleece that I have enjoyed working in the grease, but I did do one BL from B. Levin that was fabulous! This is lovely, and perfect for some of my handspun as well that has so much character I don't want to make it too dense or complicated so that the yarn can speak. Love your blog!